Great Northern Paper Co. issued federally-mandated layoff notices to workers at its idled local mill Friday. 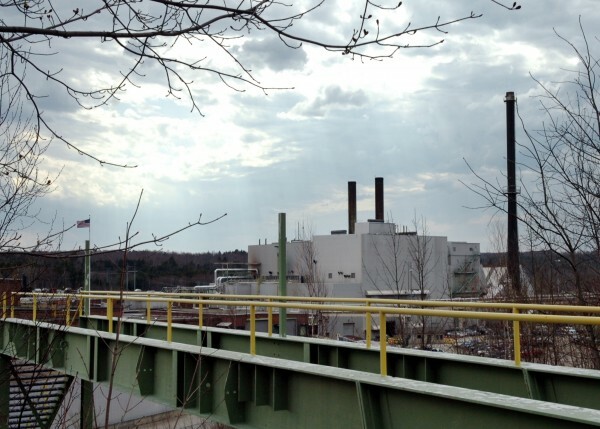 EAST MILLINOCKET, Maine — Great Northern Paper Co. issued federally mandated layoff notices to workers at its idled local mill Friday, leading some officials to wonder whether the mill is permanently closed and others to hope that a new mill investor would restart it. The federal Workers Adjustment and Retraining Notification Act requires most employers with 100 or more employees to provide notification to workers 60 calendar days before plant closings and mass layoffs expected to last six months or more. The notices went out Friday, company officials said. The company laid off 212 of its 256 workers on Feb. 6. GNP hadn’t issued WARN notices previously because company officials originally said they expected to have workers back on the job within 90 days. Reaction to the WARN notice was mixed. Duane Lugdon, statewide representative to the United Steelworkers Union, which represents about 170 GNP mill employees, took the notice as the worst news possible. Town and state officials, meanwhile, continued to express hope that Great Northern would find an investor with which it could reopen the mill, which manufactures newsprint. “Our interpretation is that this has moved from a temporary shutdown to a permanent shutdown,” Lugdon said Friday. “We are hugely distressed for the employees here. The notice we have received portrays this as a permanent shutdown. Town Administrative Assistant Shirley Tapley said that Great Northern officials told members of the Board of Selectmen that the company plans to heat and maintain the mill through the winter. This, she said, would demonstrate GNP’s continuing commitment to the mill. All affected workers typically receive 60 days pay under the WARN Act. The date severance and vacation pay are finished will determine when unemployment checks will be issued. Unemployment pay lasts for 26 weeks. Exactly how the WARN Act will affect GNP workers is unclear. All but 44 of the mill’s workers have been on unemployment since Feb. 6, with workers’ unemployment benefits expiring this week or next, said Louis Ouellette, former president of the mill’s Local 152 of the United Steelworkers Union. Many of the employees worked two weeks before getting laid off and collecting benefits. Those workers might get paid four weeks instead of six. Most of the workers at the mill who were at the top of the union’s benefits and wages scale had yet to claim four weeks of vacation time before the layoff and might be owed that in pay as well, Ouellette said. Ouellette himself already has returned to school for retraining. He is due to become a certified nurse’s aide in October, he said. Union leaders will meet Tuesday with company officials to negotiate the effects of the shutdown, Lugdon said.